It’s been 50 years since the release of the Surgeon General’s Report on Smoking and Health and the harmful consequences from the use of tobacco. 2016 marks the 10th year of the adoption of Ordinance No. 2006-1054 prohibiting indoor smoking in Houston public areas and places of employment. Individuals could no longer smoke in enclosed public places and workplaces or within 25 feet of a building entrance and exit. So, where are we now, ten years later? The Houston Health Department has compiled a brief of the ordinance impact on Houston heath and economy, describing successes and future challenges ahead. Here is what I blogged about the ordinance at the time. There was a social media campaign going on to promote this anniversary. It began on November 7, the day before the election when everyone was sure to tune into such a campaign, and it culminated on November 17, which is the date of the annual Great American Smokeout. Timing issues aside, the document linked at the top of this post is worth perusing. Fewer people are smoking in Houston, though we are not yet at the goal envisioned by this law, and there are measurable health benefits as a result. I certainly prefer this world to the one we used to live in. Anyway. The Go Healthy Houston Facebook page is where you will see some of the social media stuff. There are concerns about e-cigarettes, which are becoming popular with the kids, and which are currently exempt from existing anti-smoking laws because e-cigs didn’t exist at the time those laws were passed. I’ve noted this before, and I’ll say again that I won’t be surprised if this eventually makes its way before Council for a tune-up on the no-smoking ordinance. There was legislation proposed in 2015 to ban the sale of e-cigs to minors, but none of the bills in question made it through. This too may come up again in 2017, not that it will be a priority. In the meantime, go visit a park or restaurant and enjoy the smoke-free air around you. It’s so much better this way. Why are some people more likely to smoke than others? I find this fascinating. I’m old enough to remember when smoking was ubiquitous – I’ve experienced the smoking section of airplanes and restaurants – but nowadays not only do I hardly know any smokers, most of the people I know are militantly anti-smoking. The combination of government action and peer pressure has basically made my life, and the lives of most people I know, a non-smoking zone. Which, from my perspective, is awesome. But that yields a big question: Why is it that this effort has been so much more successful among some parts of society than others? What is it that we’ve been doing wrong, or doing inadequately? There’s a huge societal cost to smoking, so figuring this out would be a big deal. I hope the next study focuses on that question. 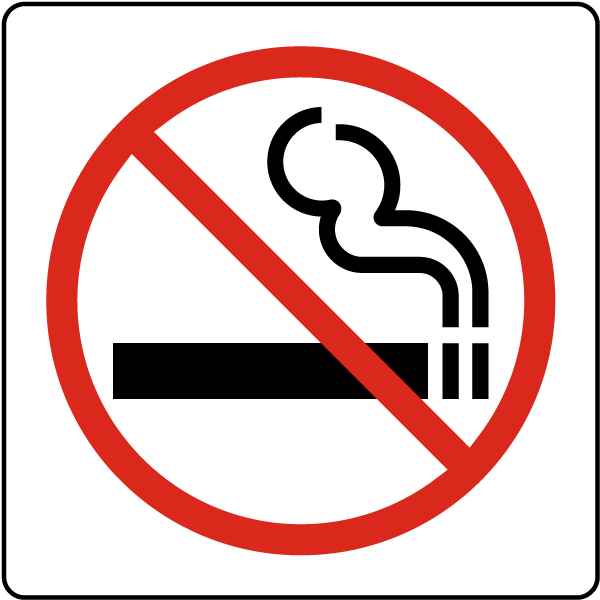 Main Street Square is now a smoke-free zone following the City Council’s decision Wednesday to expand Houston’s smoking ban to pedestrian plazas, marking the latest effort from the Parker administration to curb lighting up in public places. The changes to the smoking ordinance are twofold: it expands the ban to Houston’s three so-called “public pedestrian plazas” – streets permanently closed to car traffic but open to pedestrians; it also adds “combustible” and “plant materials” to products included in the smoking ban. City Attorney Dave Feldman introduced those changes last month alongside a proposed ban on synthetic marijuana, that will go to the council next week. Feldman said complaints from business owners at Main Street Square about smoking and litter prompted the move to expand the ordinance. In researching how to ban smoking at Main Street Square, the legal department realized there were two other areas in the city that qualify as public pedestrian walkways: a small area on Dunlavy north of Allen Parkway near Beth Yeshurun Cemetery and a block-long portion of the Columbia Tap Rail Trail along Walker Street between Dowling and St. Charles. Previously, the city’s smoking ordinance contemplated only tobacco, outlawing smoking within 25 feet of a public facility, places of employment, bars and restaurants, outdoor sports arenas and stadiums, city libraries and parks. The prohibition on smoking in parks and outside libraries is a recent development. I see this as an extension of that. There’s an argument to be made, as some Council members did, that this is an infringement on smokers’ freedom. I get that but I don’t buy it. It’s one block – keep walking, and in another 30 seconds you can light up again. As for the synthetic marijuana stuff, see Texpatriate for a primer. This is probably the last tweak to the no-smoking ordinances for the foreseeable future, at least until we know more about the health effects of e-cigarettes. Who knew they weren’t already, right? Houston public parks, golf courses and pools will be smoke-free zones come September, marking one of the most sweeping tobacco bans at city facilities. Parks and Recreation Department Director Joe Turner announced the new policy at a City Council Quality of Life Committee meeting Wednesday, following an announcement by Library Director Rhea Lawson that the ban on smoking inside libraries will expand to the property outside. The new policies will affect the more than 365 developed parks facilities, which include golf courses and pools, and 42 libraries across the city. Both department heads said the expanded bans are driven by public health and concerns. “It’s a welcome family-friendly environment, it’s a safer park experience and it gives us a cleaner facility,” Turner said. The parks ban mirrors policies in at least 36 other Texas cities and seven of the largest U.S. metros. A city ordinance already bans smoking within 25 feet of a public facility, places of employment, bars and restaurants and at outdoor sports arenas and stadiums. Those restrictions, all within the last decade, came with controversy, often drawing droves of people to testify at City Council meetings. Wednesday’s bans came more quietly as both department heads have the ability to govern and change rules of conduct on their grounds without going through City Council. Here’s the city’s press release on this. I joke about not having realized this, but I can attest that a lot of the people that congregate near the downtown library on Smith Street smoke. Perhaps this will change that. Regardless, I’m always in favor of less smoking. Note, by the way, the utter lack of any controversy around this. Sure, that’s partly because this was an administrative decision, and partly because there isn’t really a constituency for smoking at parks and libraries like there was for smoking at bars and restaurants. But man, remember the fuss that all kicked up? The apocalyptic predictions? Well, eight years later Houston is a booming, nationally-recognized restaurant scene, and last I checked we still had bars and live music. In fact, the oft-cited Rudyard’s bar in Montrose is alive and well, as is The Next Door. I don’t remember the last time I heard any complaints about Houston’s smoking ban. As someone who remembers being forced by occasional circumstance to sit next to smokers on airplanes, I cannot begin to tell you how much nicer the world we live in now is. Hair Balls has more. The University of Houston, which educates more than 40,000 students each year on its 667-acre campus, will become tobacco-free June 1, school officials announced Thursday. 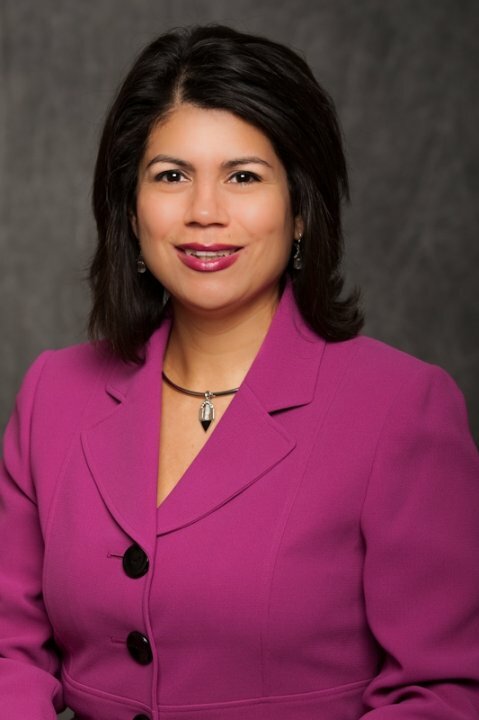 The new policy, approved by UH Chancellor Renu Khator, bans the use of tobacco products in all university buildings and grounds, including parking areas, sidewalks and walkways. It will apply to all employees, students, contractors and visitors to the campus. For smokers, UH will provide 20 designated open areas for tobacco use mostly situated away from buildings and walkways. People will be able to smoke there, but after a year the task force will decide if it will allow those exemptions to continue. UH is a recipient of more than $9.4 million in funding from the Cancer Prevention and Research Institute of Texas, or CPRIT, which began requiring its recipients in 2012 to have tobacco-free policies in and around all locations where research is conducted. The University of Texas at Austin and Rice University banned tobacco on their campuses in 2012. Texas A&M is awaiting approval of the president to establish a tobacco-free campus. All are CPRIT grant recipients. Good to know CPRIT has been good for something. More seriously, I’m somewhat amazed that UH didn’t already ban smoking in these places. Most public places have been smoke-free for so long that I suppose I just took that for granted. This has been in the works at UH since June but it’s just coming up now. Better late than never, I guess. Boy, is this a big can of worms. Methodist Hospital System in Houston this month announcedit will implement a tobacco-free hiring policy on Jan. 1, joining the Texas Medical Center and Memorial Hermann Healthcare System, which have had similar policies since last year and 2010, respectively. The policies are straightforward. Applicants who smoke or chew tobacco will not be hired. Existing employees are exempt. A growing number of hospitals and health care institutions have adopted the policies to promote wellness, improve productivity and rein in rising health care costs, but critics say they discriminate and could lead to punitive actions against other personal habits and vices. Dr. Marc Boom, president and CEO of Methodist Hospital System, said the policy is about company employees modeling healthy behaviors. More than 13,000 people work at the system’s five hospitals. Methodist’s online application will warn job seekers that it is a tobacco-free employer and that urine tests will be used to detect nicotine. A job offer will be rescinded if an applicant’s results are positive. Free smoking cessation classes will be offered, giving applicants an opportunity to reapply if they have been smoke-free for 90 days. On the one hand, it makes perfect sense for a hospital system to practice what it preaches. There’s a lot to be said for leading by example. And, though it isn’t specifically mentioned in the story, having an entirely non-smoking workforce would be great for Methodist’s bottom line, since it would reduce their own health care costs. Therein lies the rub, of course, because if having a non-smoking workforce is good for the company, then so is having a non-overweight workforce, and who knows what else. Employers have enough power over their employees already, thanks very much. Be that as it may, I have a strong feeling this will ultimately be settled in a courtroom, after someone files suit for discrimination. What do you think? Texas Democrats recently adopted a very progressive platform that addresses critical areas of need in our state. It also gives reasonable, mature Texans an alternative to empty ideological rhetoric. Although most headlines will center on our bold pronouncements in support of marriage equality, abolishing the death penalty and decriminalizing marijuana (and rightly so), there are a number of other policy proposals worth mentioning as well. In addition to the familiar themes related to fully funding public education and supporting the Patient Protection and Affordable Care Act (health care reform), Texas Democrats also raised numerous emerging issues as additional items in need of public support and legislative action. Texas Democrats support sensible solutions for fixing the state’s multi-billion dollar structural deficit. We need to modernize our tax base so that it reflects our service-oriented economy. What state lawmakers shouldn’t do, however, is continue to dodge responsibility by punting the costs of services to local governments and taxpayers. Cuts to education, health care and transportation may sound appealing to Tea Party activists, but the truth is that these services are still being rendered at local taxpayer’s expense – an expense that’s more costly and less efficient than if it were addressed at the state level. Due in large part to recent droughts and population growth, Texas’ towns are literally drying up. We need practical, sustainable solutions to ensure that we have enough water to meet the needs of our people, businesses and agricultural enterprises. In fact, we recommend that the Governor elevate this issue to an emergency item at the start of next session, and identify the funding sources to cover the capital costs associated with creating new water management strategies. Failure to meet our water supply could result in catastrophic human and economic losses. Texas Democrats support the need for a comprehensive statewide smokefree law as a top public health priority. We recognize that prevailing science indicates that secondhand smoke causes preventable diseases like heart disease, stroke and cancer. Additionally, the health care costs associated with treating these diseases bear an enormous burden on taxpayers and businesses. It’s time to clear Texas’ indoor air. In the wake of several incidents, sufficient doubt has been raised as to whether the Castle Doctrine actually is being applied fairly. Texas Democrats urge lawmakers to modify its “Stand Your Ground” law to help prevent vigilantism and encourage neighborhood watch groups to work collaboratively with local law enforcement agencies. We recognize that we can’t simply build more roads or toll roads to adequately address the state’s transportation infrastructural needs. Texas simply needs more multi-modal options. Its time for the state to invest in light rail, and partner with communities across Texas to create more transportation options. Such investment will help enhance quality of life, attract a vibrant business environment, improve air quality and leverage federal funding opportunities. These are but a small sample of the priorities identified in the Democratic platform. Texas Democrats understand that it takes a strenuous, reasonable assessment of the true challenges facing our state to ensure that Texas is as great today as it will be fifty years from now. That means that we have to elevate the seriousness of public debate and elect leaders more interested in long-term, sustainable solutions and not regurgitated ideology. The grown-ups in Texas will find much to agree with in the Democratic Party’s platform. 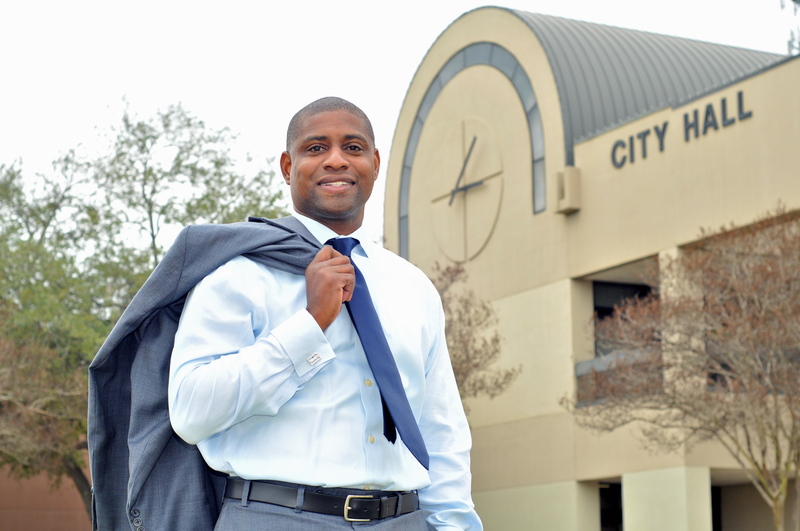 Steve Brown is the Chairman of the Fort Bend County Democratic Party and a member of the Texas Democratic Party’s Platform Advisory Committee. Connect with Steve on Facebook at facebook.com/sbrown2 and on Twitter at twitter.com/electstevebrown. Put that cigarette down and slowly back away. The University of Houston is on its way to becoming a tobacco-free campus. Under a new proposal by school officials, UH would outlaw the “use, sale, advertising, and sampling of all tobacco products” on the 667-acre campus. Currently, smoking is prohibited inside buildings and cars and within 15 feet of building entrances. The proposed policy must be approved by the UH president and council of vice presidents, but officials already are planning a fall semester “rollout” that would include an education campaign and smoking cessation classes, said Kathryn Peek, assistant vice president of university health initiatives and co-chair of the Tobacco Task Force. The policy would apply only to the main campus. During a 12-month phase-in of the new policy, smoking would be allowed in temporary designated smoking areas, Peek said. In February, the Cancer Prevention and Research Institute of Texas announced that grant recipients would be required to have tobacco-free policies. UH has received $6.9 million in funding from CPRIT and expects more in the future, Peek said. The University of Texas at Austin, which has received about $30 million in CPRIT funding, banned tobacco in April. Texas A&M, which has been awarded about $3.4 million in CPRIT grants, plans to modify its current policy, which forbids smoking inside buildings and athletic facilities. According to Americans for Nonsmokers’ Rights, about 711 colleges and universities are 100 percent smoke-free. I had no idea this sort of thing has been happening on college campuses. My own alma mater has not taken this step yet. I don’t see any sign that the anti-smoking movement is slowing down, which is fine by me. The public health case for limiting cigarettes as much as possible is crystal clear. Sometimes I think about the ways in which my life and experiences growing up will be utterly incomprehensible to my daughters. Much of that has to do with the advance of technology, but in many ways societal change will be more profound. When I was Olivia’s age, you could fly in the smoking section of an airplane. I’ve had the misfortune of being stuck in such a place before. When I filled out my roommate-match form for college, one of the questions asked was whether or not you smoked. I waited tables at a restaurant the summer after my sophomore year that was about 90% smoking section; the four tables that didn’t have ashtrays on them were non-smoking in name only. In the early 90s, it was still possible to buy an entry for the smoking section of a bridge tournament; these were generally held in hotels. And so on and so forth. Not everything about the world my girls are growing up in is better, but this part of it sure is. Presented with four ways to proceed with a potential public smoking ban, the San Marcos City Council opted late Tuesday to move forward with putting a nonbinding referendum before voters in November. Assistant City Manager Collette Jamison said the council wouldn’t have to act even if voters approved the initiative. And if residents vote in favor of a smoking ban, the council would have the opportunity to tweak the language after the election, she said. Mayor Daniel Gurrero pointed out that there’s still time for the council to “slam on the brakes” if council members decide they don’t want to pursue the initiative. See here for the background. Those of you in San Marcos who might want to register an opinion about this, there will be two public meetings at which to do so. If you’re wondering about which Texas cities do and do not have smoking bans, Wikipedia has you covered. Looks like West Texas is the place to be if you still want to light one up – Abilene has a ban, but Amarillo (which voted a referendum down in 2008), Lubbock, Midland, Odessa, and San Angelo are all missing from those lists. Last Tuesday, just before the special session ended, the Trib summarized where the effort to pass a statewide smoking ban stood. Bill: SB 28 would institute a statewide ban on smoking in bars, restaurants and many public places. If passes, supporters say it would save an estimated $31 million dollars in Medicaid spending over the next biennium. Status: Passed the Senate Health and Human Services Committee, and headed to the Senate floor, where it will likely land today. What to watch for: Despite widespread public support for the measure, it faces opposition from owners of smoker-friendly establishments and a corps of conservative lawmakers who killed the amendment during the regular session. Even if it makes it out of the Senate, it will likely die on the clock. Indeed, SB28 never made it out of the Senate – it never even got a floor vote before the Senate high-tailed it out of town. So, smoke ’em if you got ’em, those of you who live someplace that hasn’t yet tightened its local anti-smoking ordinances. And look for more places like San Marcos to take it up this year or next. With the fate of a proposed statewide smoking ban in flux in the current session, the San Marcos City Council is considering a November ballot initiative that would ban smoking in public places. A “public place” is still undefined, and many questions about the potential ordinance have yet to be answered. Mayor Daniel Guerrero said he asked for the item to be put on the agenda to talk about the city’s options. In the end, council members directed city staffers to return in two weeks with more information about options for a binding or nonbinding referendum, the latter of which would give the council flexibility in when or whether to implement the ban if the voters approve it, possible ordinance language and a schedule for public feedback and future council discussion. The council must decide whether to put the initiative on the November ballot by Aug. 2. That was published while the Lege was still in session. I’ll check back later to see what they decide. The statewide smoking ban still lives. Senate lawmakers pushed a ban on smoking in public places out of committee this afternoon, sending it to the full upper chamber for a vote. Senate Bill 28, which would ban smoking indoors in bars, restaurants and many public places, has failed to make it through past legislative sessions despite public support. It was voted out of the Senate Health and Human Services Committee with a 5-4 vote. State Rep. Myra Crownover, R-Denton, and Sen. Rodney Ellis, D-Houston, both filed smoking ban bills during the regular session, only to see them defeated. In May, House lawmakers led by Crownover attached the ban to SB 1811, a funding bill, but the measure was stripped out in conference committee after objections from senators. The House Appropriations Committee gave its approval to a different statewide smoking ban bill, HB46, two weeks ago. It’s still not clear to me that this can pass the full Senate, and it’s not clear Rick Perry will sign it if it’s a standalone bill, but clearly progress is being made. Never say never when the Lege is in session. The House Appropriations Committee voted 19-1 to recommend their colleagues approve HB 46, designed to stop secondhand smoke from polluting the air and lungs for others. “It’s the No. 1 public health issue for this session. It’s the No. 1 clean air issue in this session,” said bill author Rep. Myra Crownover, R-Denton, who succeeded her late husband 11 years ago after he passed away from cancer. The Texas ban would only apply to public places, which would not affect a VFW hall, she noted. Businesses that are licensed by the Texas Health Department or the Alcoholic Beverage Commission would be affected. “This is not a ‘nanny state’ bill. This bill is about asthma that kills people. It’s about heart attacks,” she said. The pool hall industry opposes an indoor smoking ban because about 70 percent of its customers are hard-core smokers, said Philip Robert Brinson, general counsel for Fast Eddie’s Billiards, which operates 18 pool halls in Texas. “It’s a niche business. It’s a pool hall. (Customers) know people smoke. That’s why they go,” the Houston lawyer told the Appropriations Committee. Here’s HB46. As this was able to pass the House once, the only real question is whether or not the votes are there in the Senate. With the 2/3 rule not being in effect, it’s possible it could pass. I certainly wouldn’t be surprised if there is majority support for it, just not 21 votes. We’ll find out soon enough. Crownover blamed its failure on a “handful” of Senate conferees who refused to keep a smoking ban amendment on Senate Bill 1811, a sweeping fiscal matters bill. She said the amendment would have saved taxpayers $30 million in Medicaid spending over the next biennium. The smoking ban language that had been added by the House was taken out by the Senate on Thursday. Crownover had hoped to get it back in, but clearly that didn’t happen. Crownover said by raw numbers, she had a majority of votes in both the House and Senate to pass the smoking ban. But because of Senate rules, which require a two-thirds vote to bring bills to the floor, “a unified minority” blocked her legislation. Which suggests to me Rep. Crownover will face the same problem next time as well. Not that it will stop her, nor should it. Trail Blazers has more. One of the many amendments that was successfully added to SB1811 Friday night was by Rep. Myra Crownover to finally implement a statewide smoking ban. The close vote, 73-66, came during debate on the enormous budget-related bill, Senate Bill 1811. The amendment by Rep. Myra Crownover, R-Denton, was one of a few opposed by the measure’s House sponsor, Rep. Jim Pitts, R-Waxahachie, that actually passed. The amendment would ban smoking in public places, which would include bars and restaurants because they are places where anyone would be welcome. You can see Rep. Crownover’s amendment here, and the amendments that were successfully tacked on to her amendment here and here. This still has to make it through the Senate, but it’s as far as any previous attempt has ever gone. The Trib has more. Rep. Myra Crownover will make her biennial attempt to pass a statewide smoking ban in Texas, which if it passes would make it harder to smoke. Although she believes in limited government, Crownover said 53,000 people die each year in the U.S. from second-hand smoke, and that is unacceptable. “I think this is the most important public health issue before the Legislature at this time,” she said. Banning indoor smoking, she said, would benefit both customers and employees. The bill would also create a level playing field for business across the state with a uniform statewide policy instead of the hodgepodge of city regulations that exist now, said Crownover. And people who choose to smoke would still be able to do so outside, she said. Dr. Joel Dunnington, speaking for the American Cancer Society, told the House Public Health Committee the smoking ban would save $440 million to the state’s economy biennually because most bar and restaurant employees don’t have health insurance. When those employees get sick, they end up going to public hospitals, where often the cost is passed on to taxpayers. The Legislative Budget Board estimates the savings would be a bit more modest: $31 million over the next biennium. Meanwhile, in its attempt to find loose change under every budgetary couch cushion, the Lege will also make it harder to quit smoking. Finding ways to cut health care costs is all the rage under the Pink Dome — and curbing smoking is a proven way to do it. But both the House and Senate budget proposals slash tobacco cessation programs by more than 80 percent, or $20 million over the biennium. Health care advocates say such cuts would devastate programs that deter children from smoking and eliminate regional efforts that have curbed tobacco use among adults. And they argue that the money, which comes from a multibillion-dollar lawsuit settled with big tobacco companies in the late 1990s, is supposed to be used for anti-smoking education. Well, when cost cutting becomes an end rather than a means to an end, one should expect some contradictory policies. I don’t know what else to say. Is this the year a statewide smoking ban passes? The latest from Gov. Rick Perry’s preferred polling firm, Baselice & Associates, shows that 70 percent of Texans support a ban on indoor smoking, including in restaraunts and bars. The sentiment appears to cut across party lines. The ban was supported by 67 percent of Republicans, 69 percent of Independents, and 74 percent of Democrats. Of those that identify with the Tea Party, 54 percent favored the idea. The poll also found that 63 percent of Texas voters are more likely to vote for a state legislator who supports such a law. Last session, smoke-free legislation failed to get enough traction to get through the process. The push for a different outcome this time around has already begun. State Sen. Rodney Ellis, D-Houston, and state Rep. Myra Crownover, R-Denton, have both filed bills to ban smoking in public indoor spaces. The measures have the support of Lt. Gov. David Dewhurst. “Now is the time to make smoke-free workplaces a reality,” he said in a statement. Until proven otherwise, my opinion is that anything other than the budget, redistricting, and Governor Perry’s wingnut wish list should be considered questionable for passage. Having said that, Dewhurst wouldn’t bother making a statement in favor if he wasn’t on board, and I don’t think Perry’s pollster would get involved if the Governor was going to be an obstacle, so this has a few important ducks lined up. With so many cities passing similar bans – San Antonio being the last domino to fall – it makes sense that the state would step in to fill the gaps. There is some organized opposition, but if the restaurant and hospitality crowd is in favor, I don’t think that will matter much. The real enemies are the calendar and the higher priorities that have been defined. Hair Balls and Postcards have more. Now that every major city in Texas has an ordinance that bans smoking in most public places, attention turns to the Lege where another attempt will be made next year to pass a similar ban. Spokesmen for the coalition, Smoke-Free Texas, said Wednesday that supporters are preparing to reintroduce the measure in the 2011 Legislature, convening in January, while conceding that they face the same obstacles. State Sen. Wendy Davis, D-Fort Worth, who co-authored the Senate version of the bill in 2009, said she is eager to resume that role in 2011. But Peggy Venable, Texas director of Americans for Prosperity, said opposition forces are equally determined to deliver another knockout if the bill resurfaces. “We’re concerned about it — not because we want to encourage more people to smoke, but because we care about property rights and individual freedoms,” said Venable, a nonsmoker and breast cancer survivor. I generally don’t strain myself trying to understand the thinking of the Free Market Fairy people, but even taking that into account, I don’t quite get this. As noted in the story, one complaint about the municipal approach is that bars and restaurants on or close the a city’s boundaries may find themselves competing with joints that are outside the city’s limits and thus not subject to the same rules. You’d think that getting a uniform standard would be appealing, and given that the Americans for Prosperity crowd isn’t actively working to repeal the existing municipal bans – to the best of my recollection, these groups weren’t involved in the local debates, at least not in Houston and San Antonio – legislative action is the logical course. Not for them, I guess. Anyway, given all the other things that will be happening next year it’s hard to say what the odds of success are, but the battle will be joined. By a slightly larger margin than expected. The City Council on Thursday approved a fortified smoke-free ordinance aimed at protecting public health, despite pleas from frustrated bar and restaurant owners who said that the ban would hurt their business. The new ordinance, which will qualify San Antonio as a smoke-free city under criteria set by Americans for Nonsmokers’ Rights, closes exemptions that have allowed smoking in bars, pool and bingo halls, comedy clubs and restaurants with enclosed smoking areas. The new rules, which will take effect Aug. 19, 2011, replace a policy riddled with exemptions and perceived as being watered-down. “It’s ironic then, today, when we pass this ordinance, San Antonio will be bringing up the rear — becoming the last major Texas city to adopt this kind of ordinance,” he said. So there you have it. We’ll see if this has any effect on efforts to pass a statewide ban, as that would address the complaints about bars and restaurants in unincorporated areas near big cities having an advantage by not being subject to the same restrictions. Interesting story about San Antonio Mayor Julian Castro, who did not campaign on expanding that city’s smoking ban but is now the leading proponent of it. He’s likely to get it passed on Thursday with a 6-5 vote, though a wider margin is possible. Not that it really matters – in most functioning governmental bodies (that is, outside of the US Senate), the majority is all you need. Worth a read, so check it out. The revised San Antonio smoking ordinance has made it out of Council committee and will be voted on, in some form, next week. The proposal originally sought to ban indoor smoking, ending the exemptions for bars, pool halls, comedy clubs, bingo halls and restaurants that have enclosed smoking systems. Since then, the proposal has been made tougher by including outdoor places such as the San Antonio Zoo, the River Walk, Alamo and Main plazas, city-owned parks, child care and adult day care centers, outdoor sports arenas, stadiums and amphitheaters. The proposal would also prohibit smoking within 20 feet of outdoor public transportation stations and outdoor service lines for ATMs, concerts, food vendors, movies and sporting events. But by the time the council votes on the proposal, it might have taken a different shape. There are places that the language can be sharpened, and there’s room for some changes. “For instance, with parks, I’m not adverse to banning smoking in the pavilion and playground areas in lieu of the entire park,” Castro said. But there’s also no room for negotiation on certain parts of the proposal. To say the least, it’s been a contentious process. The San Antonio City Council seems more divided on the issue than Houston’s Council was when its revised ordinance was passed. I’ll be interested to see how it winds up. Here’s an Express News article from last Sunday about the effect that municipal ordinances that have banned smoking in bars and restaurants have had on those establishments. Interestingly, the main place it goes for anecdotal evidence is Houston. Lizzard’s Pub, a bar tucked away in the River Oaks neighborhood on this city’s near West Side, hasn’t been quite the same since the City Council banned smoking in bars three years ago, owner Elizabeth Knox says. Others in the Houston bar industry said their customers didn’t waver when the city went smoke-free — a step San Antonio’s City Council could soon take. In September 2007, when Houston banned smoking in bars, Jackson said he didn’t see a drop in sales. This totally doesn’t surprise me, but then I support these ordinances, so take that with whatever amount of salt you like. The story notes a number of economic impact studies cited by the pro- and anti-smoking forces, and again to my subjective perspective, the anti-smoking side seems to have the better of it. It was amusing to me to see the pro-smoking forces come out in droves in the comments to my previous post. I don’t know about you, but I don’t see them scoring a whole lot of victories in recent years. They’re fighting to not have to retreat any more, and there’s not a whole lot of friendly turf for them. It’s not just a matter of legislation, it’s a matter of society. Smoking isn’t acceptable to a large portion of the population, and that isn’t going to change. But who knows, maybe they’ll hold serve in San Antonio, at least for now. I still believe that a statewide ordinance will pass sooner or later, so as far as that goes I’m not too worried about it. Cary Clack and Veronica Flores-Paniagua, both of whom discuss the racial aspect of these protests that was raised by LULAC and the NAACP, have more. As we know, the city of San Antonio is working on updating its ordinance that restricts smoking. The first draft of that has emerged from committee, and it’s got some teeth to it. The strengthened recommendations, which will be considered in August by the Quality of Life Committee before heading to the full council later in the month, now include banning smoking in several public spaces, including the San Antonio Zoo, the River Walk, Alamo and Main plazas, parks and outdoor stadiums. That’s in addition to extending the city’s smoking ban to bars, pool halls, comedy clubs, restaurants and bingo halls, as introduced in April. Restaurateur Louis Barrios, an outspoken opponent of a stronger smoking ban, said he wasn’t surprised to learn that the proposed ordinance had strengthened. “It’s being framed as a health issue, but the reality is that it’s not a health issue because it’s not statewide,” he said. Opponents of the proposal have said they would support a statewide smoking ban because it would offer a level playing field. They argue that if San Antonio enacts a smoke-free ordinance, then the market would shift to nearby municipalities and business would suffer. [Mayor Julian] Castro says he doesn’t buy that argument. The Lege has tried and failed to pass a statewide smoking ban in each of the last two sessions. I continue to believe that such a thing will eventually pass, but who knows how long that could take. As for the allegations about city businesses losing out to those in the surrounding unincorporated county areas, all I can say is that I haven’t seen any evidence of that here. Doesn’t mean there isn’t any – maybe it’s just a greatly under-reported story – but it at least suggests that the concern is overblown. We’ll see how this plays out. More on the story here and here. San Antonio City Councilman Justin Rodriguez announced [last] Friday that he is sponsoring an ordinance to outlaw smoking in most public places, including all bars, restaurants and workplaces. Rodriguez said San Antonio is one of the largest cities in the country without legislation to protect the public from the dangers of second-hand smoke. Rodriguez said the new ordinance would close any loopholes in existing anti-smoking laws. The City Council passed an ordinance in 2003, which a group called the Smoke-Free San Antonio Coalition does not believe went far enough. “There have been certain criteria that you could have smoking allowed in (some businesses),” said coalition chair Suzanne Lozano, who’s also a registered nurse. San Antonio is approximately where Houston was before it passed a more extensive smoking ban back in 2006. That was done after Austin voted to adopt a tougher anti-smoking ordinance in 2005; numerous other cities including Dallas and Galveston have since followed suit. Given how common this is now, I don’t suppose it had even occurred to me that San Antonio had lagged behind on this. I expect this to pass fairly easily when it comes to a vote, but there is some opposition on Council. [City Council member John] Clamp argues that “the market is working,” and banning smoking in San Antonio could push businesses to other municipalities in Bexar County. Customers can choose to go to other places, he said. But Rodriguez agues that employees can’t. More regulations will hurt business, Clamp said. Sounds an awful lot like Houston’s debate, with Rodriguez playing the part of then-Council member and smoking ban advocate Carol Alvarado, and Clamp filling in for Michael Berry or Addie Wiseman. Seems to me you could check on Houston’s experience to measure Clamp’s claims if you wanted to. The Houston Press did an informal survey of bars and live music venues in 2007, which suggested it was mostly no big deal, but that’s the last I recall hearing about it. Which is kind of suggestive in itself – if there were a trend of places closing or relocating to less-restrictive unincorporated Harris County, you’d think there’d have been more news about it. My suspicion is that San Antonio’s experience will be like Houston’s, including how the passage of the ordinance plays out. Queblog has more.